Find Neptune City homes for sale. 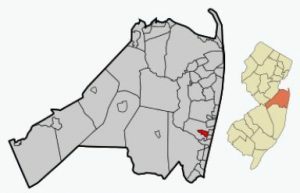 Neptune City is located near the Jersey Shore on the northern shore of the Shark River. Homes in Neptune City are mostly single family. However, there are also homes available in condo complexes. The homes for sale are typically in the starter home price range, but, some homes can cost over $1 Million. Commuting to NYC is a breeze since it’s located close to the Bradley Beach NJ Transit train station. In addition, the Sea Streak Ferry is also nearby. There are numerous fine dining establishments nearby, as well as any type of shopping you could want. Neptune City has it’s own school system which provides education to children in grades K-8. Woodrow Wilson School is where these children will go. In addition. high school students will attend Neptune High School. The student population is less than 400 children. There are also private schools nearby. In addition, there are seven magnet schools available to students who live in homes in Neptune City. The magnet schools in the Monmouth County Vocational School District are the Marine Academy of Science and Technology, the Academy of Allied Health and Science. Also available are the High Technology High School, the Biotechnology High School and the Communications High School. Residents of homes in Neptune City have access to the Community Center which offers a recreation center with a gym, game room and an exercise room. Also, there is computer room, TV room and a room for special occasions. Neptune City also has four parks: Memorial Park, which is located along the Shark River; Laird Avenue Park, in fact this was the first playground built in Neptune City. Also, Adams Field, located on West Sylvania Avenue and Joe Freda Park, on Third Avenue. Call 732-598-7700 today to see Neptune City homes for sale.